Video: Big K.R.I.T. - "R.E.M." 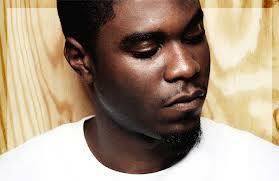 I'm excited that Big K.R.I.T. is back with a new video for the song "R.E.M." which is a new song off his upcoming mixtape, King Remembered In Time. As with most of his materiel, this song is of course directly on point with a soulful beat and it also features a sample of James Blake’s “The Wilhelm Scream.” The visual is dope too as it follows K.R.I.T. around the city in a dream, where he encounters himself. Great stuff, watch below.